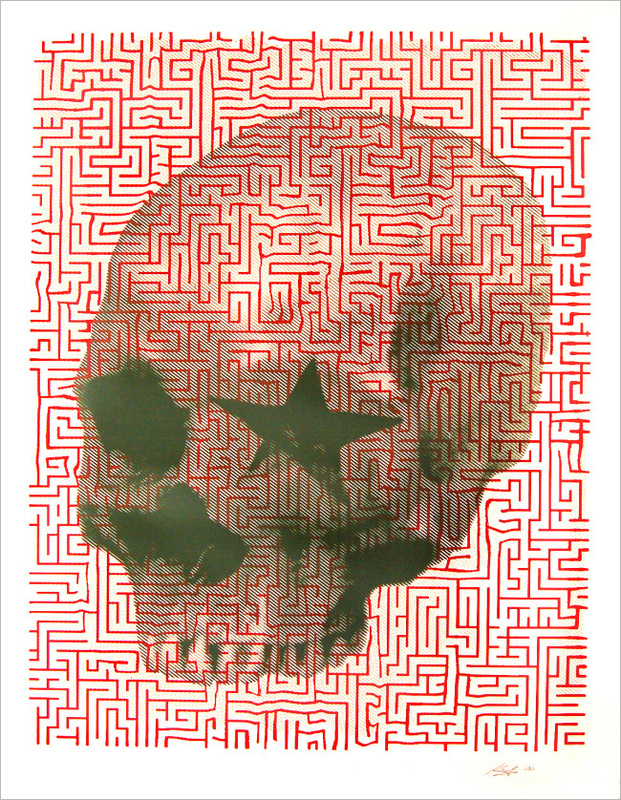 Life (Blood), Killingstar, 2 color screen print, approx. 19 x 25 inches, signed and numbered edition of 15. 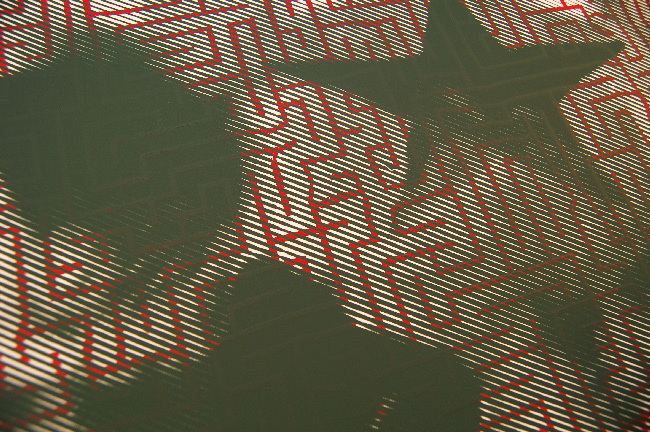 Life (Blood), Killingstar, detail, 2 color screen print, approx. 19 x 25 inches, signed and numbered edition of 15. Both editions are signed and numbered. Each variant has its own edition size and is available exclusively through NOWhere Limited. The Killingstar project began more than a decade ago with a phrase muttered in sleep. 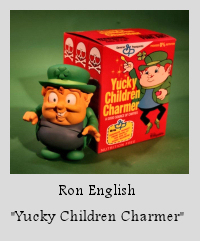 “Just a killing star” has since become the inspiration for hundreds of artworks detailing the inner workings of the artist’s alternate persona.